Geppetto Electronics: Pi Power is a go! Finally! 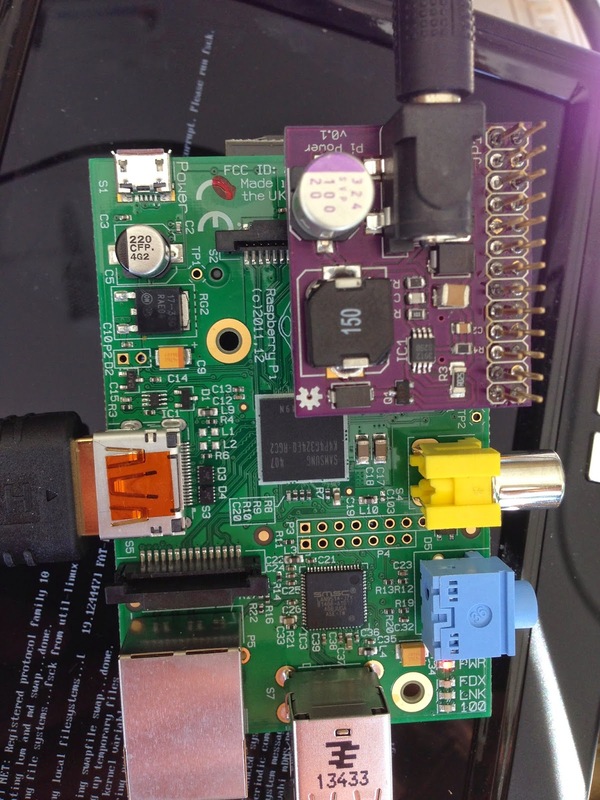 The power supply the Raspberry Pi should have come with! Pi Power is a 2 amp rated switching power supply that should work with basically any voltage from 7 to 15 VDC on a standard 2.1mm center-positive barrel connector. It's ideal for car-puter use, as the input has a 16 volt TVS across it to protect from transients. It plugs into the GPIO connector, and I use an extra-tall stacking header so that you can still use both the GPIO connector for something else, and plug into the display header underneath. I've not had a chance to find where the edges of the specifications are, but I was able at home to draw an amp through it and saw no more than 20 mV of ripple on my scope, and a rock-steady voltage output of 4.96 volts with both 1A and 0 draw! 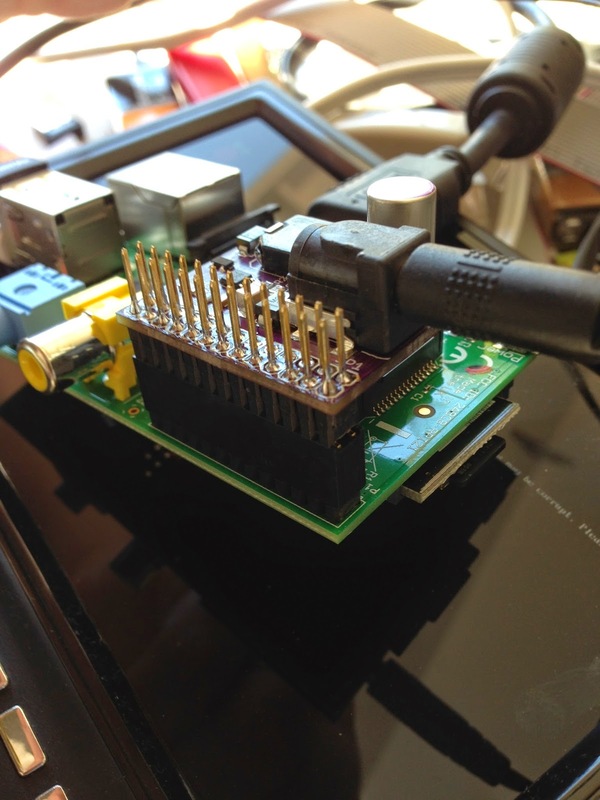 Running a Raspberry Pi with a keyboard and WiFi plugged in, it draws anywhere from 250 to 300 mA at 12 volts. It's available in the store now at $15.